This is going to be the fifth contribution from Albania in the Eurovision Song Contest. 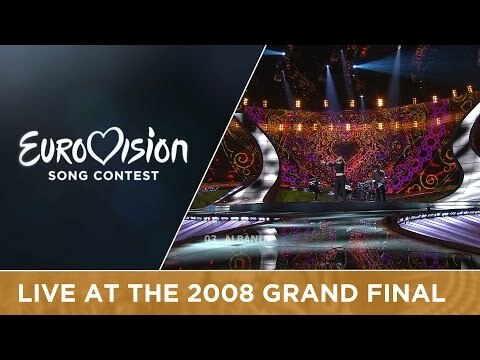 Albania had a great debut in 2004 when Anjeza Shahini sang “The image of you” and came 7th in the big final in Istanbul. The music scene in Albania is different from the rest of Europe. So that’s why the Albanians always send songs of their national taste only, it doesn’t matter if it meets the European taste of music. The Albanian entries are mostly sung in Albanian and sometimes they are translated in English. In the Albanian music you can clearly hear the world weariness and melancholy of the Balkan region. This music is of course interesting, but probably less appropriate to win an international music festival. It’s so good to have different kinds of music in the contest, especially in regards of all the gimmick songs of this year, the Albanian entry is a relaxing break. But this one won’t be a hit – that’s for granted!